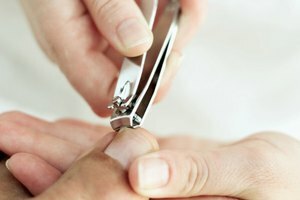 The nail bed is the portion of a fingernail or toenail that is directly next to the laluna, or the white crescent-shaped part at the base of the nail. It contains nerves and blood vessels. 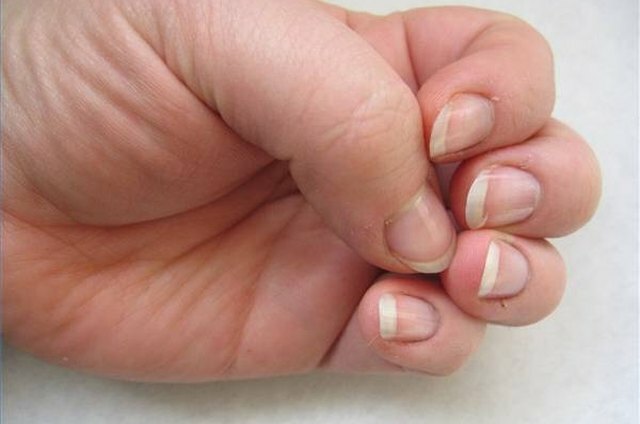 Damage to this area occurs fairly frequently and can be caused by stubbing a toe, dropping something heavy on a finger or toe, chronic conditions like hammertoe, or even a nail bed that is not smooth, which can cause the nail to split as it grows. A minor nail bed split can be treated at home until it heals while serious trauma that includes surrounding tissue requires a doctor's care. Trim the tip of the nail short. Wash your hands with anti-bacterial soap. Wash your foot as well if it is a toenail split. Dry your hands and foot thoroughly. Apply Neosporin or another antibiotic ointment to the area of the split. Wrap the finger or toe with an adhesive bandage to prevent any further damage and reduce the chance of infection. Repeat daily until the nail heals. If the damage is very serious or is worsened by a chronic condition such as hammertoe, you need to see a podiatrist.